There is blade against silver blade, evil blood spilling and mixing with good blood, and light charging into the darkest of places in the name of the Lord. Of course, we do not see this. An endless battle between God's Angels and the Devil's Slaves is going on all around us and, yet, we can not see it. This war is happening in each of us and around all of us. Normally, we are blinded and made deaf so that we may live our lives without the knowledge of these happenings. But, recently, our Father has realized how much His innocent children have grown, changed. He has decided to lift the veil from the eyes of a select few. These few are the only ones among us who are ready to stand along side God's Angels and fight His battle. These chosen ones call themselves The Missionaries. 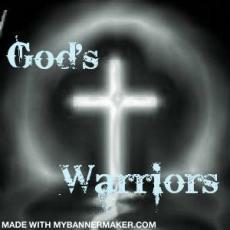 They are God's Warriors who fight in a battle they are not meant to take part in. These chosen ones make up an elite underground army called "The Church". Follow this endless novel and see through the eyes of these warriors. As their faith is tested, their will is leveled, and their hearts are shattered, see how they manage to keep up the good fight and believe and trust in the Lord, God Almighty. This page was created in 0.3474 seconds.